This statement is on behalf of National Fisheries Solidarity Movement in Sri Lanka, NAFSO. NAFSO is a rights-based membership organization. We work on Rights of the small-scale fisher community, Land rights, Rights of Women and Transitional Justice. NAFSO work in 23 districts in Sri Lanka. There were 10 regional meetings held in July 2017 in southern, Upcountry, east and north for gathering information and one national meeting held to validate the report. For the development of the factsheets, four regional CSO meetings and one national gathering to validate the CSO suggested recommendations took place. The need to implement recommendations from the Lessons Learnt and Reconciliation Commission and to strengthen judicial independence was made. Despite recommendations on ratification of the International Convention for the Protection of All Persons from Enforced Disappearance were noted, it was ratified in May 2016. Similarly, in contrast to noted recommendations on an invitation to the Working Group on Enforced Disappearances, a visit was implemented in July 2016. 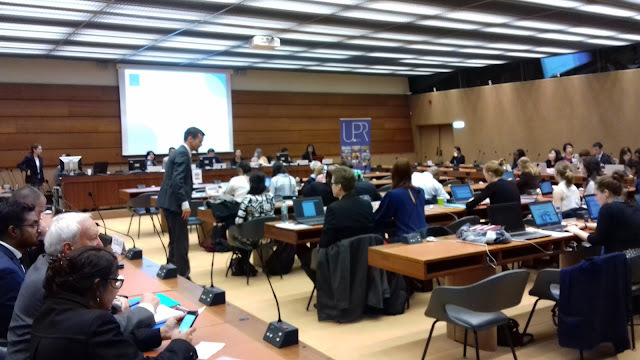 Human Rights Council Resolution 30/1 on Sri Lanka, Promoting reconciliation, accountability, and human rights in Sri Lanka was adopted 1 October 2015. The GOSL agreed to this Resolution. The commitments made include setting up 4 major institutions and take measures to address the situation of war-affected communities. The Office of Missing Persons (OMP) is the only mechanism legalized so far. But it cannot work without having proper commission being appointed. A Commission for Truth, a judicial mechanism and an Office for Reparations is yet to be established. Without these institutions, no progress could be achieved in the subject areas. Buddhist extremists often work against accountability and transitional justice and often use nationalist and racist words. Although some internally displaced people during the conflict period in Jaffna since 1990 have been resettled, rest of displaced people should be resettled further. 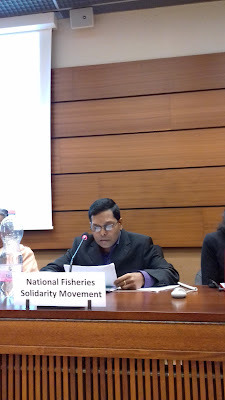 According to the study of National Fisheries Solidarity Movement, there are 38 refugee camps in the Jaffna up to now. The internally displaced people are spending a very difficult life in the camps without even basic facilities. Many lands which belonged to the people in Walikamum North now have been occupied by the military and those lands have been declared as high-security zones. According to the statistics of organization for resettlement in Walikamam north, 8,000 families should be resettled in Walikamam north as well as about 3,000 acres have to be released. There were many people’s struggles demanding their own lands which were occupied by the military forces in 1990, 2007 and then after, especially by the Navy in Mullikulam, Pallimunai, Kepapulavu and Iranaithivu within the last year but there is no any positive response from the government yet. The government is saying that, although the government is ready to release the land for the owners, military forces do not open to release the land back. There are around 100,000 people who migrated within the conflict period living in the camps in India as refugees. Although they are supposed to come back to Sri Lanka, they are facing many difficulties such as finding their own land and building up their life with a regular occupation. Some refugees who lived in India have already come back but now they are facing many difficulties. Currently, different standards and policies are adopted with regards to housing and livelihood assistance. War affected communities especially IDPs have to be ensured sustainable return with adequate access to housing and social security. Create a Truth Commission, a judicial mechanism and an Office for Reparations by the recommendations of the Consultation Task Force (CTF) on reconciliation mechanisms. Create an independent mechanism to investigate alleged war crimes and other grave human rights violations during the civil war. 4. Remove the 38 internal displaced camps in Jaffna and establish the land right of displaced people. 7. The people displaced due to the war should be resettled in their original places with the facilities people are entitled to in terms of international laws on refugees should be given to them.